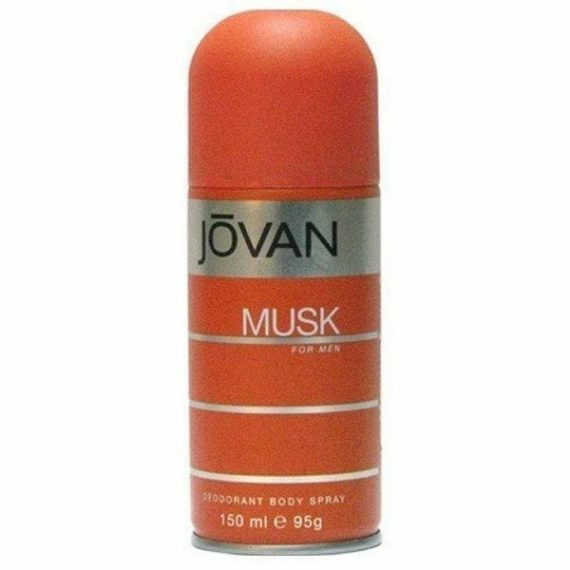 Jovan Musk for Men Deodorising Body Spray by Jovan has a woody floral masculine fragrance composed of head notes of Lime, Pepper, Carnation and Lemon. The heart notes are Amber, Lavender, Spearmint and Exotic Spices with a base of Wood and Musk notes. It is a romantic cologne which is elegant and charming. The predominant note is Musk and the fragrance lasts well on the skin. The deodorising body spray was launched in 1973 in a 150ml orange spray flacon. The fragrance is also available to buy as an Aftershave.